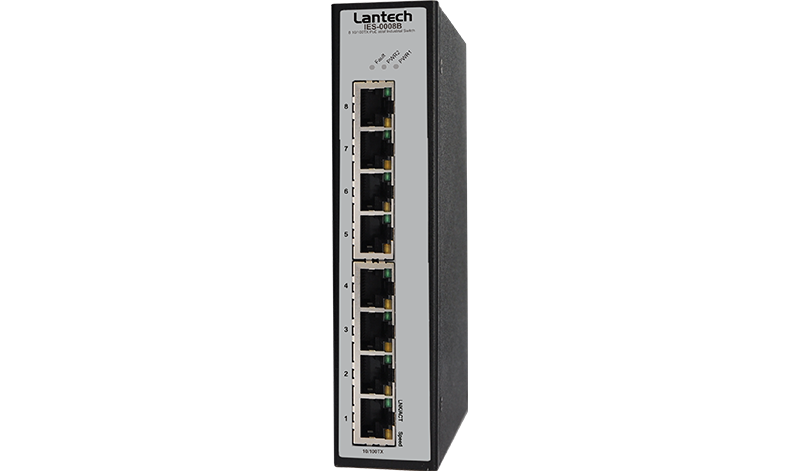 Lantech IES-0008B is a high performance all 8 10/100TX industrial Ethernet switch. 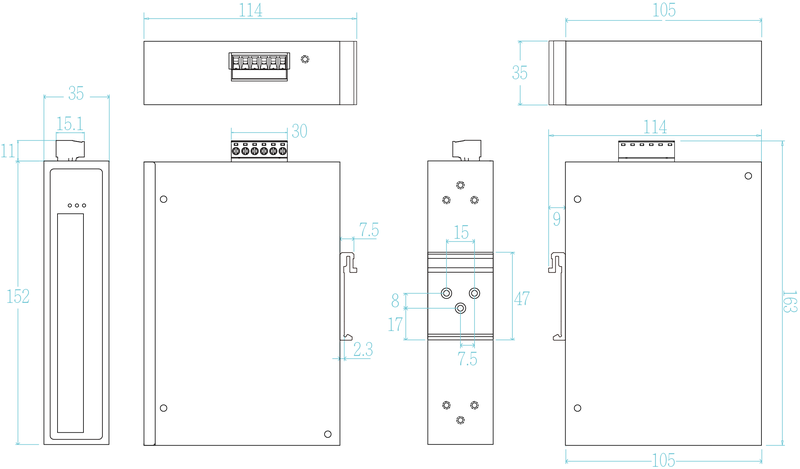 The IES-0008B-12V accepts power input 9~60VDC and is compliant with ISO 7637-2 which protects switch from being damaged by high voltage that could be found at vehicle cranky start. 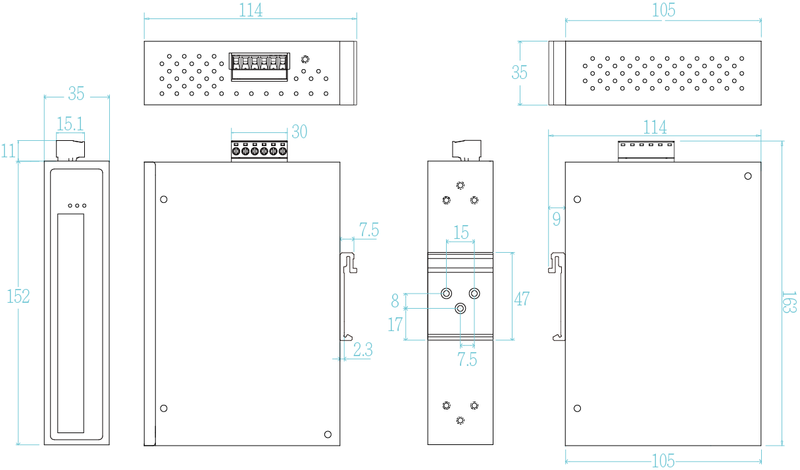 Lantech IES-0008B provides ±2000V EFT/SURGE and ±4000 VDC (Contact) / ±8000 VDC (Air) Ethernet ESD protection, which can reduce unstable situation caused by power line and Ethernet. It has high reliability and robustness coping with extensive EMI/RFI phenomenon, environmental vibration and shocks usually found in Automation, transportation, Wireless backhaul, Semi-conductor factory and assembly lines.